YES INDEED! Combination of BOGO50 on all BANG + 20% OFF $50 + free shipping! Follow instructions below to score this deal! Add 4 cases BANG Energy Drink (mix & match) to your cart (BOGO50 will be applied automatically and your total will be $77.97). Apply coupon ‘NY2019NU’ to shave $15 & bring your total to $62 ($15.5/case). 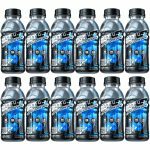 The price for NUTREX Outlift 12oz RTD (12/pk) drops from $35 to $13.99, when you use Supplement Hunt coupon code outlift12 during checkout. This is the lowest price we’ve seen by $16.